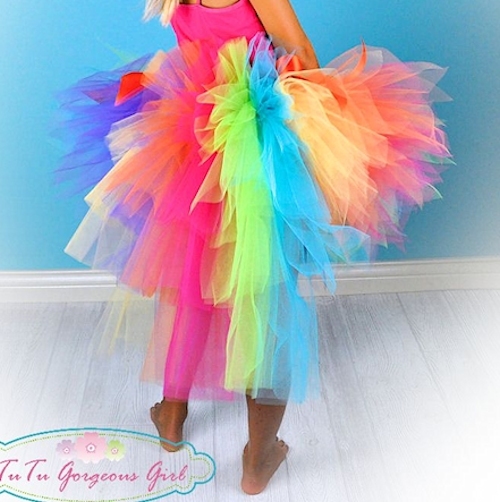 Rainbow birthday bustle tutu for baby, girls, and women. 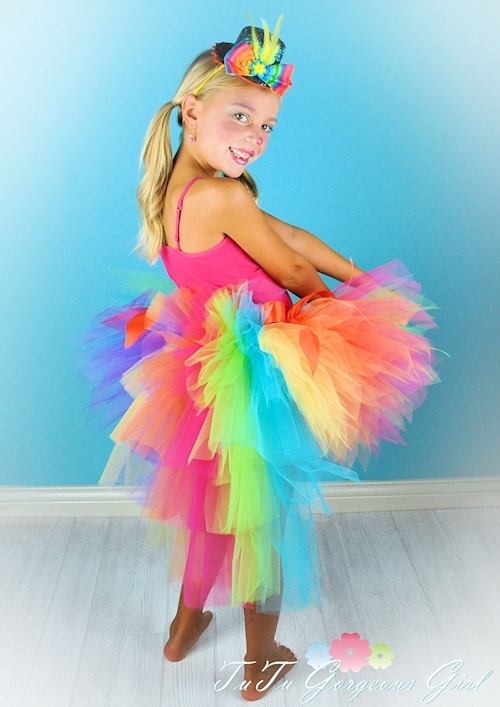 The Candy Rainbow bustle tutu features the most vibrant and fun colors of the rainbow! 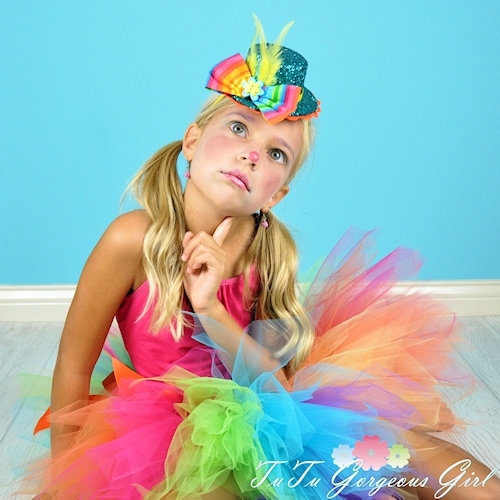 Purple, turquoise, hot pink, lime, yellow and orange are fabulous colors for a clown costume, birthday tutu, dance recital costume or photo prop. 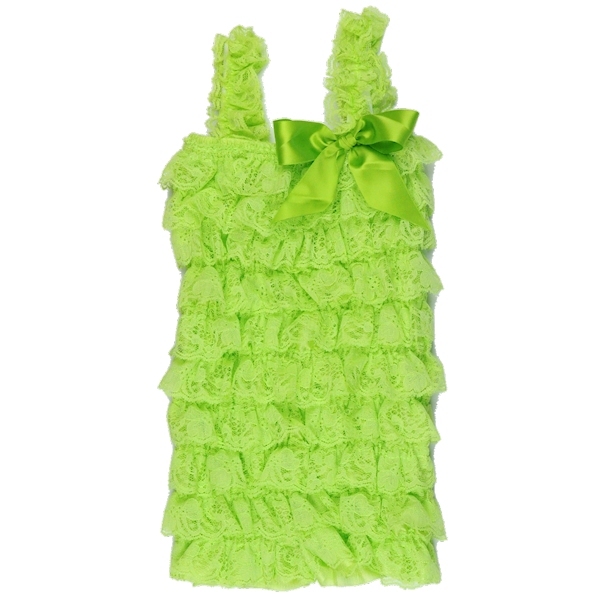 Bustle tutu includes two bows tied at each side of the bustle.